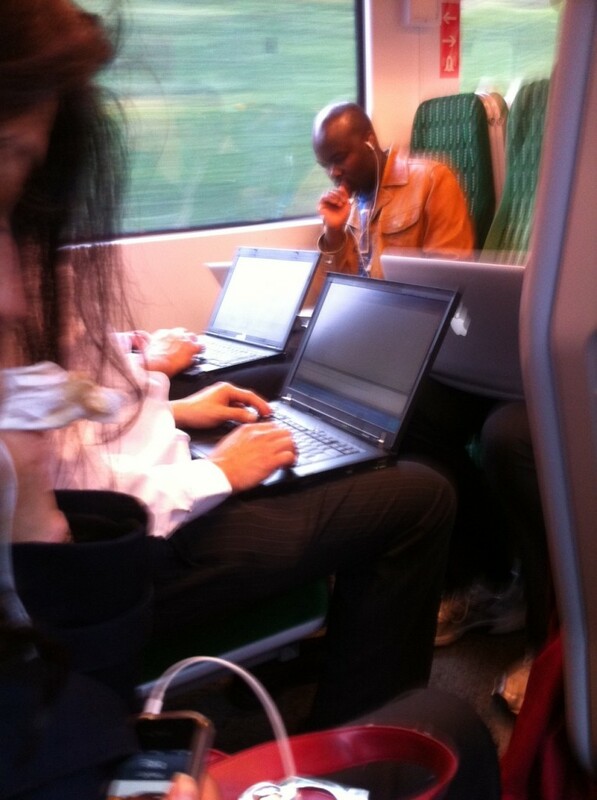 These four people are working on the train in the way into London. Our trains have become an extension of the office and perhaps their design needs to accommodate this – pull out tables for example. Or a least a consideration for preventing ‘laptop thigh’ where the heat of the laptop actually lightly burns the thighs. Perhaps our clothes need to be redesigned to take account of this. In my opinion part of the flaw in the argument and calculation of the economic benefits of HS2 is the assumption that time spend traveling by train is unproductive. 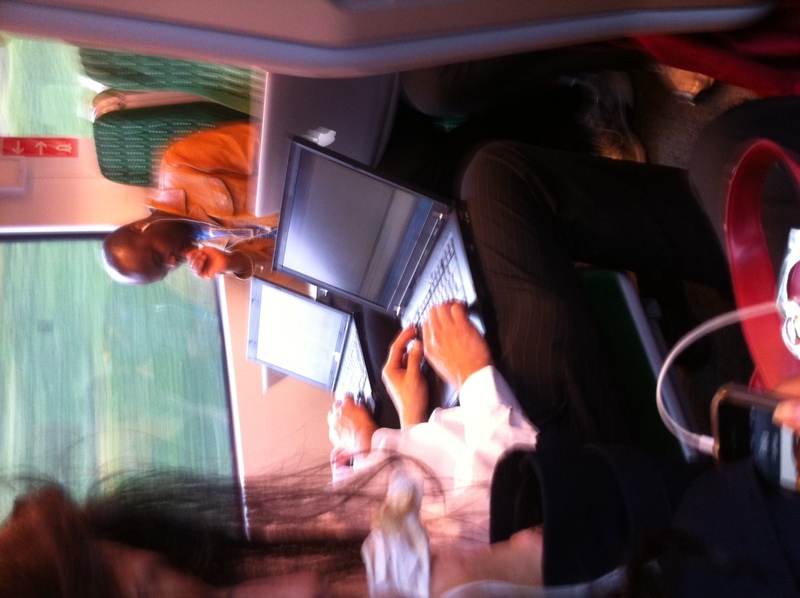 With many trains now offering wi-fi it’s possible for our trains to become an extension of the office if required. Therefore shaving 20 minutes off of a trip to Birmingham or beyond may not be the best return on the billions of pounds of investment.